New research by SSERVI’s Australia team contradicts the commonly held belief that Earth’s first stable continents were formed in a plate tectonic setting. The paper titled “Earth’s First Stable Continents Did Not Form by Subduction,” was published today in Nature. Lead author Dr Tim Johnson, explained that the geodynamic environment in which Earth’s first stable continents formed remained controversial. 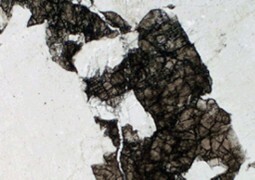 “Many geologists have subscribed to the uniformitarian view that the first continental crust formed in subduction zones via modern-style plate tectonics. Some, however, believe that alternative (non-uniformitarian) processes were involved – our research supports the latter and suggests that the ancient granites in the Pilbara had not only parents but also grandparents, and possibly great-grandparents before them. Such a protracted history is not compatible with subduction and modern plate tectonics”. “Through phase equilibria modeling of the Coucal basalts, we confirmed their suitability as TTG parents, suggesting they were produced by melting in a high geothermal gradient environment. By contrast, many researchers maintain that TTGs were formed in subduction zones, which are characterized by very low geothermal gradients,” Dr Johnson said. 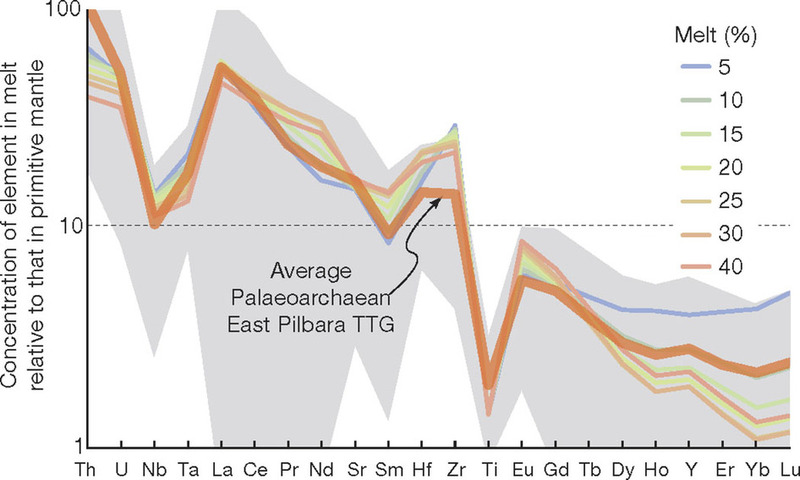 Normalized (against primitive mantle) concentration of selected trace elements in the average Palaeoarchaean East Pilbara TTG (orange), compared with the composition of modelled melts of the average Coucal basalt at various melt fractions (5–40%). The grey shaded region shows the 2σ uncertainties on the average East Pilbara TTG. 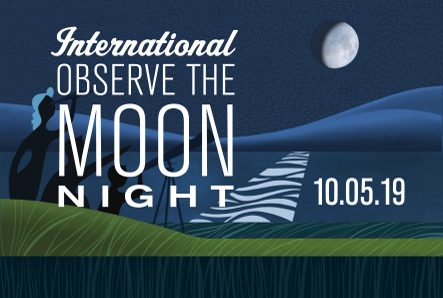 Source: SSERVI Australia Team / Curtin Univ.